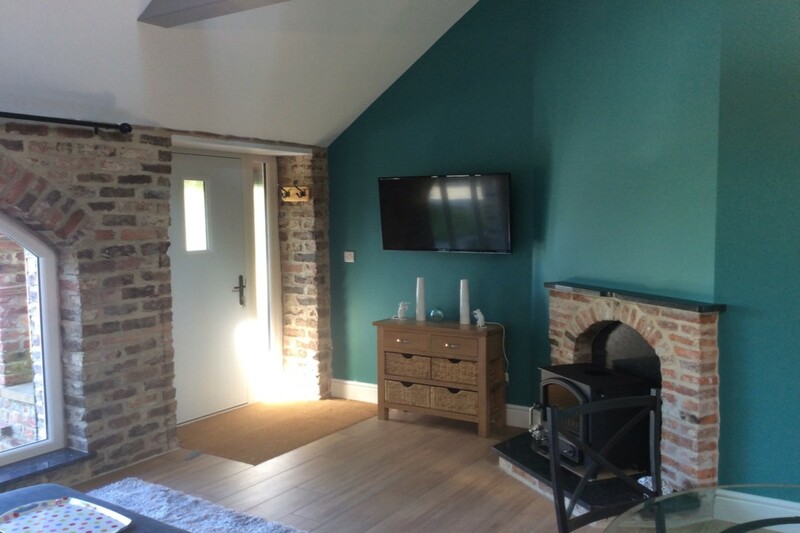 One bedroom cottage with ensuite bedroom and vaulted open plan living/dining/kitchen with a wood burner. 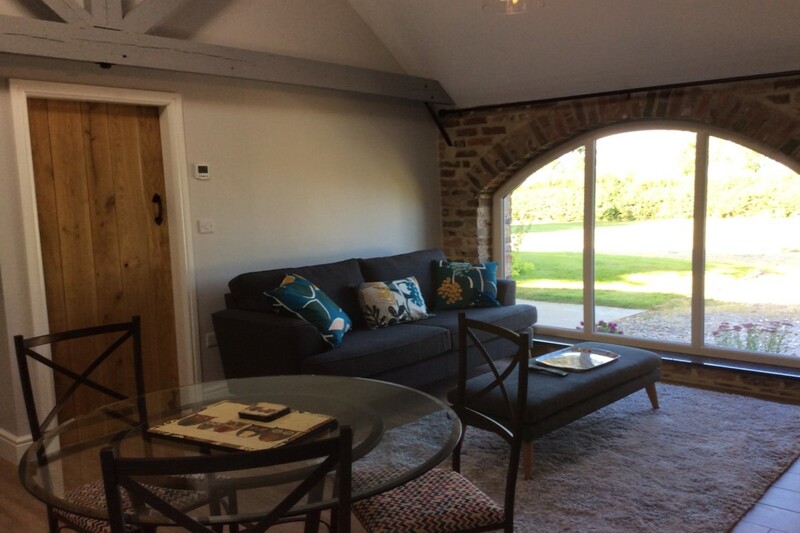 The Byre is a single storey, one bedroom, barn conversion with a vaulted open plan living/dining/ kitchen, featuring a wood burning stove. 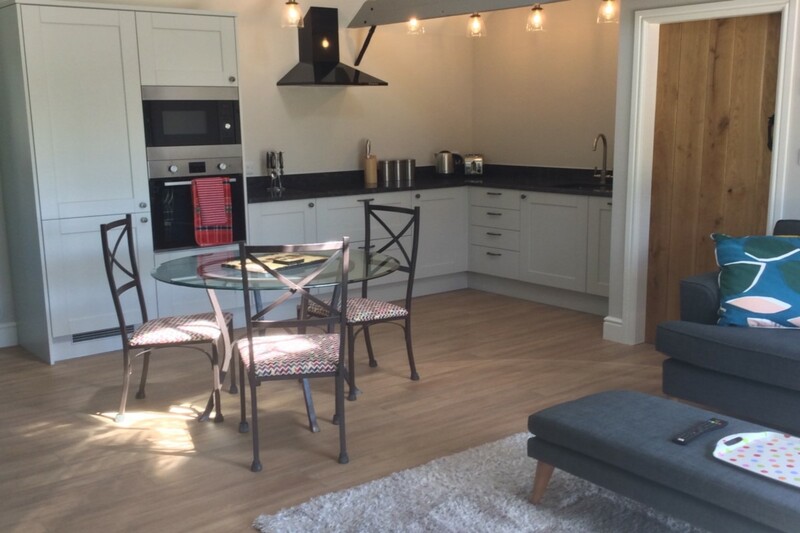 The kitchen area is very well fitted with granite worktops, integrated dish washer, induction hob, fridge/freezer and oven with separate microwave. 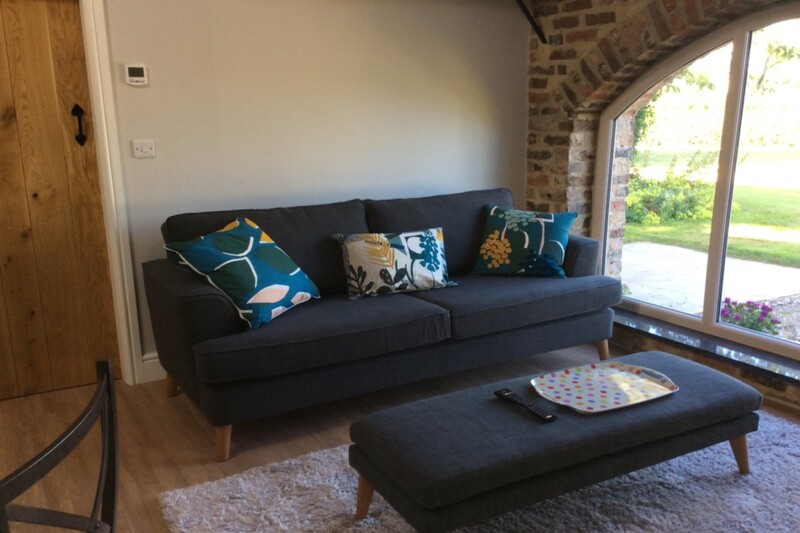 The dining area has a table and seating for up to four persons and the lounge area has comfortable seating for up to three persons, a smart TV with Freeview Plus and a feature wood burning stove. 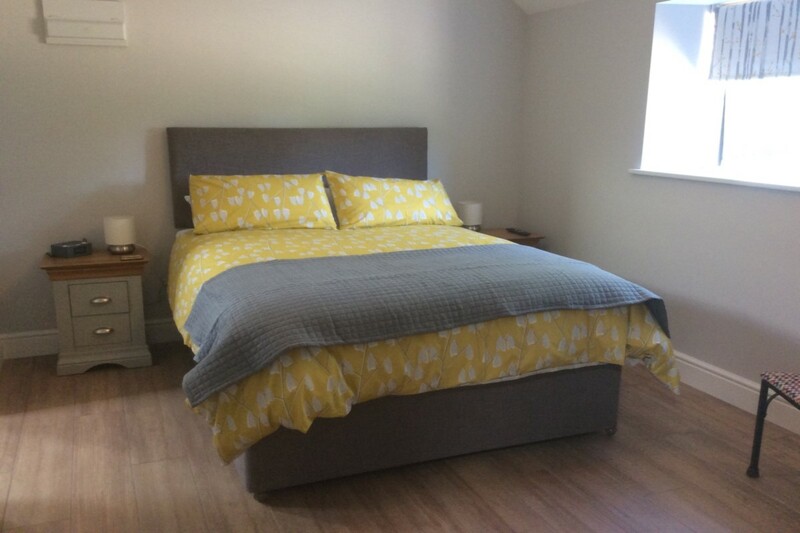 The large bedroom has a king size bed and there is ample room for a cot or cot bed for a child up to five, a travel cot or cot bed can be provided on request. 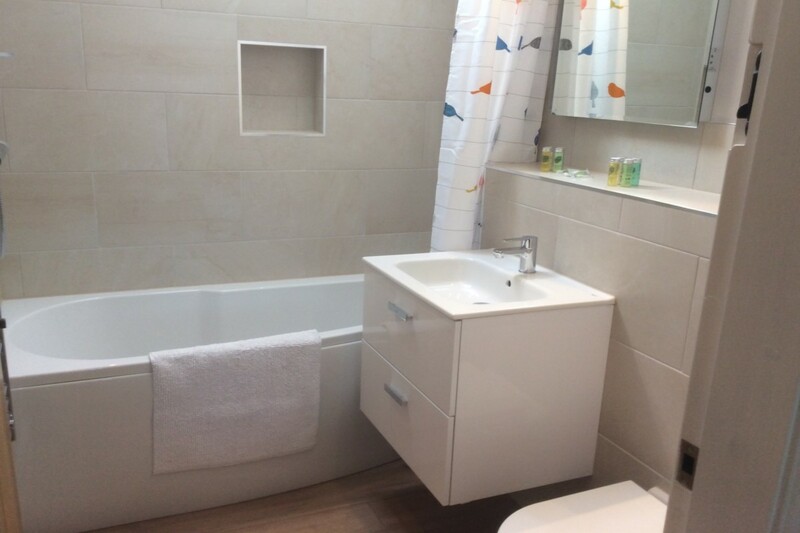 There is an en-suite bathroom with bath and shower over the bath, washbasin and toilet. 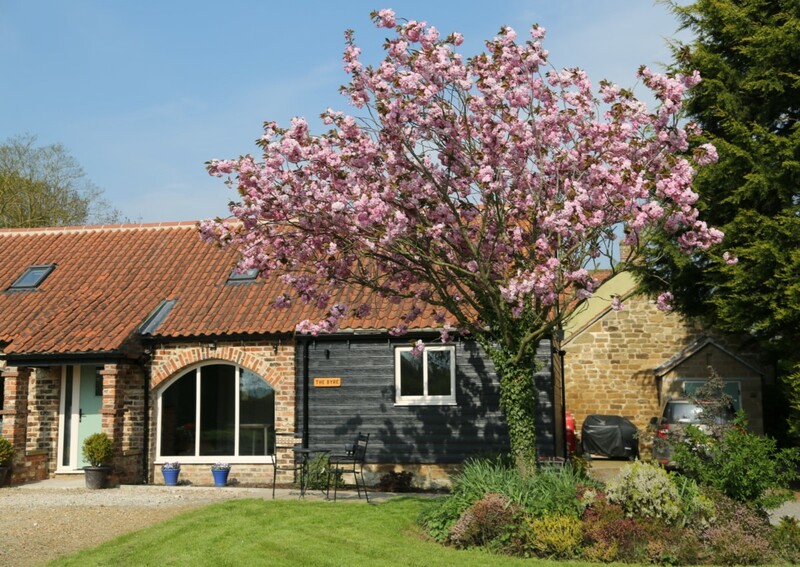 The barn has underfloor heating throughout and a good, free Wi-Fi connection. 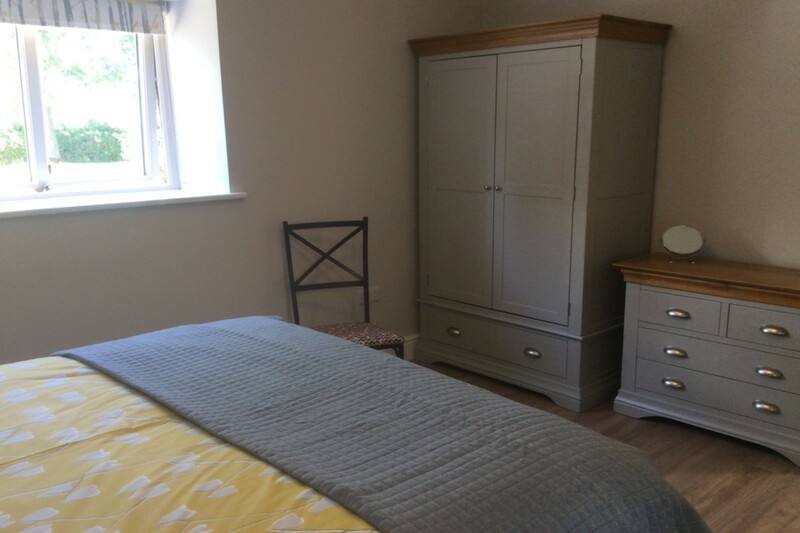 There is a guest laundry on site with washing machine and tumble drier available for guests’ use. Outside there is a secluded patio are with table and seating for two persons overlooking the gardens.